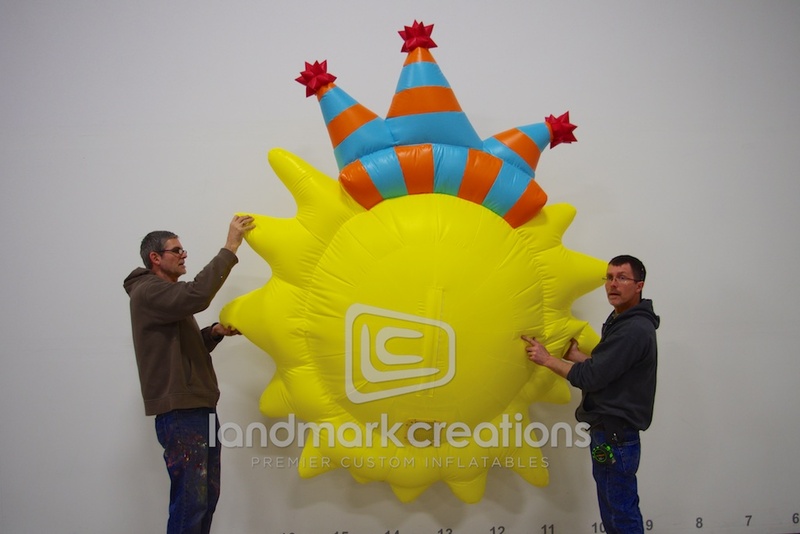 Looking for parade float ideas? 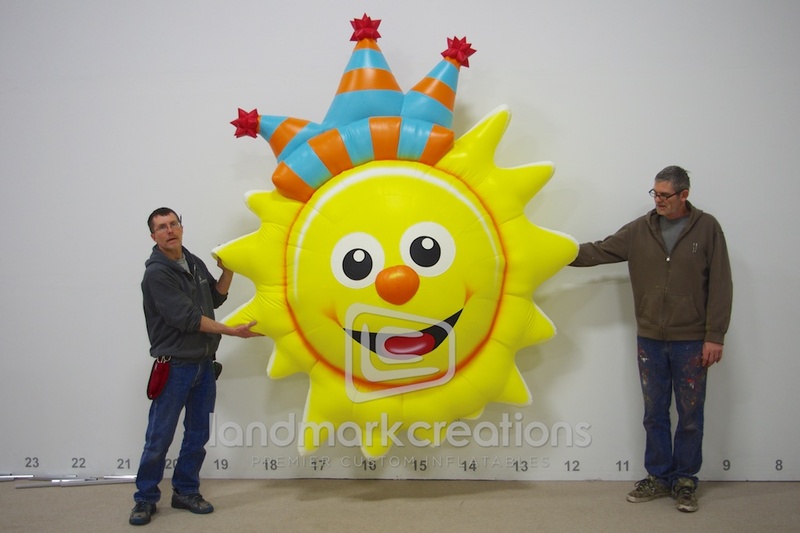 This 8.5-foot-tall happy birthday sun was used as inflatable scenery during Sesame Place's year-long 35th birthday celebration at their park in Pennsylvania. No blower needed. Outer DIMs: H: 8' 6" L: 2' 6" W: 7' 2"